The nation's most dubious holiday is back, and brands everywhere rummaged through their attic of social media tricks for a tweet that was just the right fit. It’s a holiday for everyone — for dogs, your boss, even brands. In celebration of National Ugly Sweater Day, sports teams, nonprofits, and diet-killing doughnut makers lit up social media in their own decidedly non-fashionable way. 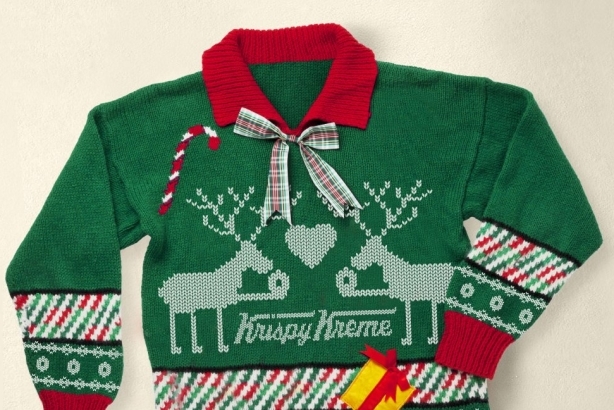 Here are 16 of the most garish sweaters brands squeezed into Friday. Did you know... #NationalUglySweaterDay has a seasonal theme song?